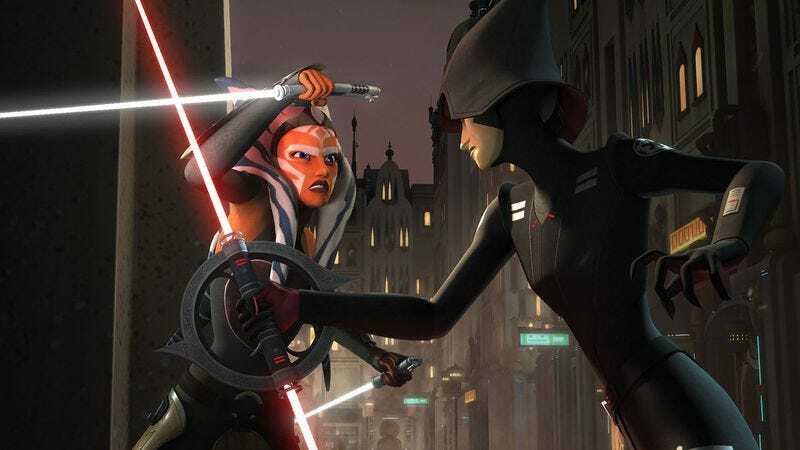 DisneyXD’s Star Wars series, Rebels, is currently ramping up to the climax of its third season, full of all the space battles, espionage action, and surprisingly well-realized character beats that fans have come to expect out of the 3D animated show. Celebrating that success, Disney has just announced that the show has been granted a fourth season, meaning that the Ghost crew will get another chance to face off against Grand Admiral Thrawn, Darth Maul, and the rest of the Imperial threat next year. StarWars.com released the news, while also teasing that fans will get more info about the upcoming season at this year’s Star Wars Celebration in April.